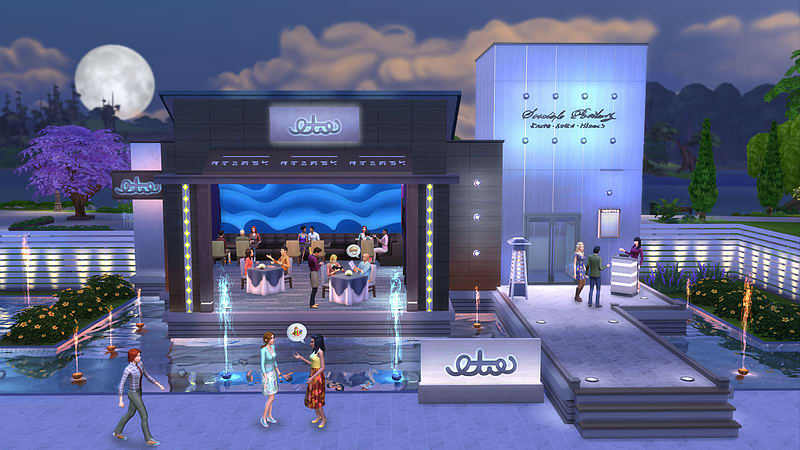 • Create Unique Restaurants – Build a variety of restaurant venues from a classic diner to an upscale Italian bistro, or customise pre-made restaurants using new objects and décor. Personalise your space by adding an outdoor patio, comfy booth seating, or unique signage. The choice is yours! • Become an Owner – You are in control of owning and running a restaurant. Hire and outfit staff, set the menu and prices, and chat up diners to improve customer satisfaction. 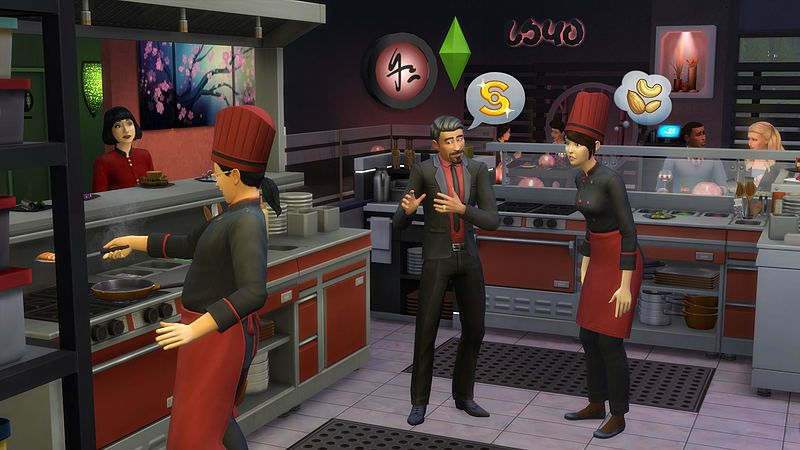 Strive for a five-star rating or build a multi-restaurant empire to rake in the Simoleons! 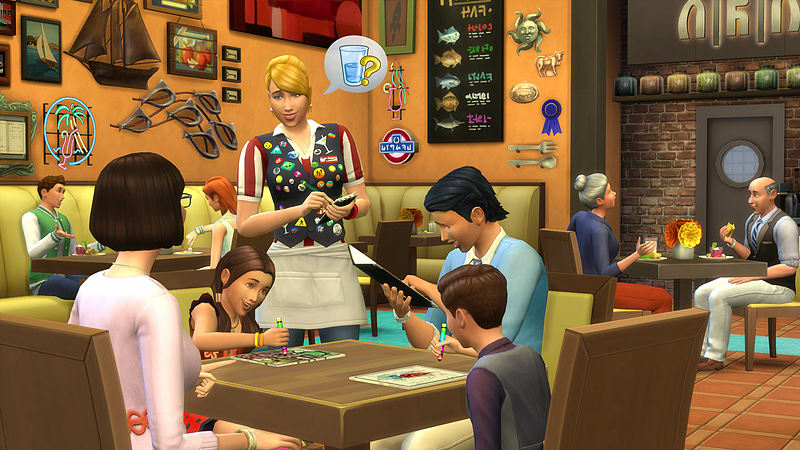 • Dine Out with Your Sims – Take your Sims out to enjoy a delicious meal with exceptional service. Restaurants are the perfect place to catch up with friends over brunch, spend time with family, or have a romantic date, all without having to do the dishes. 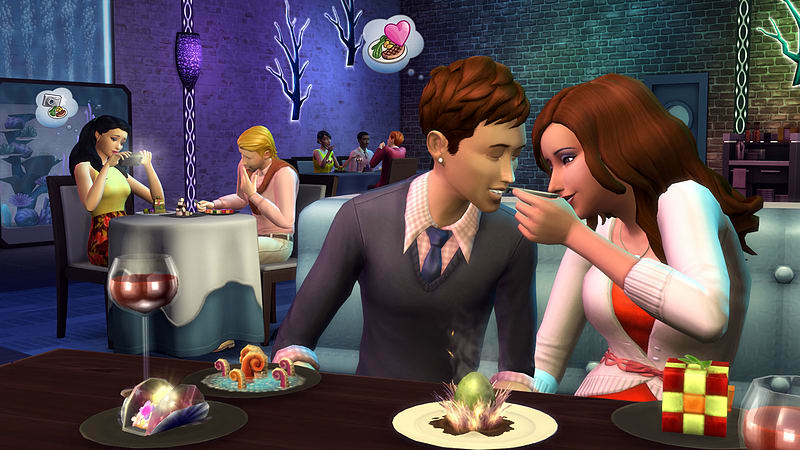 • Experiment with New Food – Sims with adventurous tastes can dig into new experimental cuisine that looks almost too good to eat! Serious foodies can snap food selfies to memorialise these edible masterpieces or learn to cook them at home.